If you’re anything like us, you’ve got a downloads folder full of files that you don’t even remember downloading, PDFs of old bank and credit card statements, and caches of cookies and browser history files cluttering up your hard drive. These are all a risk to your security and make you vulnerable to would-be fraudsters. It’s time to get smart, remove system junk, and clean up your digital clutter. Here’s what to do. Cleaning digital clutter manually is possible, it it requires much time and attention. You have to find and delete exactly the files you don't need and use (and you have to be sure it won't impact your system) and then start to organize those files and items you need. Luckily, there's a quicker and easier way to clean up PC clutter - a computer cleaning program CleanMyPC. However, even CleanMyPC won’t clean all your digital clutter. It doesn’t, for example, get rid of old documents like bank statements or payslips automatically. It does, however, have a tool designed to allow you to securely delete those files by writing over them multiple times so they can never be recovered. It’s important when you come to delete files containing sensitive personal data that you don’t just drag them to the Recycle Bin. Even when the Recycle Bin is emptied, the files aren’t deleted, the space they occupy is just made available for use and their entry in the disk’s directory removed. Writing over files multiple times is the only way to securely delete them. Here’s how to do it in CleanMyPC. 3. If you want to select the security level, press the ‘i’ at the bottom right of the window and choose minimum, medium or maximum. This dictates how many times the file or files will be overwritten. You can also erase files and folders from within File Explorer by right-clicking on them and choosing ‘Secure Erase by CleanMyPC’ from the shortcut menu. This is one you’re going to have to do on your own. 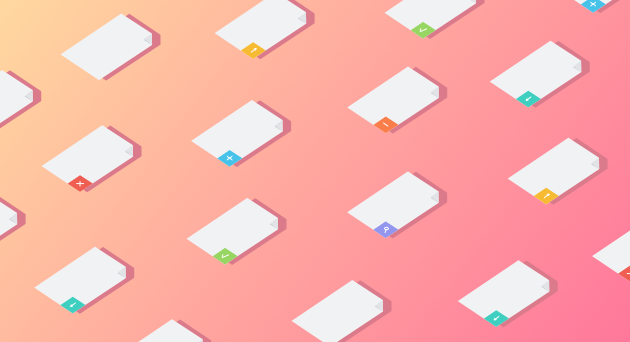 Got an inbox full of email? It’s time to go through it and either delete messages you don’t need or file those that do. The fewer messages in your inbox, the quicker your email client will run. If you can’t bear to get rid of them, or think you might need them, create folders and file messages in those. Or export messages and archive them somewhere safe. Whether its duplicate songs in music players like iTunes, or movies we’ve already seen and will never watch again, most of us have media files on our hard drive that we’ll never play again. It’s time to get rid of them. Duplicate music tracks can be deleted — there are lots of utilities that can identify duplicate files for you and delete them. Storing photos and editing them is one of the most popular uses for personal computers. However, as the years go by, the sheer number of photos on your hard disk takes up a huge amount of space. Unless you need access to them all at a moment’s notice, it’s much better to archive them and free up the space on your hard drive. You can move them to a cloud storage service, or to an external hard drive or network attached storage box. Ideally, you should create two archives, one local and easily accessible and one remote. That way, if something happens to one archive, you won’t have lost those precious memories. Most of us have a desktop littered with files and shortcuts. But not only does that look cluttered, it’s unproductive. Every second you spend scanning the desktop for the file or shortcut you’re looking for is a second you could be doing something more worthwhile. So put the files in folders in their rightful place, and pin items to the taskbar rather than having shortcuts on the desktop. And promise never to save a file to the desktop again! Among the the digital clutter lurking on your hard drive are files left their by web browsers and websites you visit that have information on which sites you’ve visited, when you were last there and what you did while you were on the site. Some of this is useful, for example if you need to find a site that you visited and didn’t bookmark, but much of it is intrusive and takes up space. CleanMyPC makes it easy to get rid of it. Cleaning up digital clutter is easy and doesn’t have to take up too much time, as long as you make it a habit and do it regularly. If you do, you’ll never run out of hard drive space and will reduce the chances of your privacy being compromised online.